An Israeli Singer and former contestant on a reality talent show has been jailed for hacking Madonna's online accounts and stealing songs from her unreleased music tracks. Adi Lederman, 39, who participated in Israel's version of American Idol called A Star Is Born, is set to spend his 14 months in prison and pay $4000 in fine after confessing to computer trespassing, infringement of privacy and property rights. 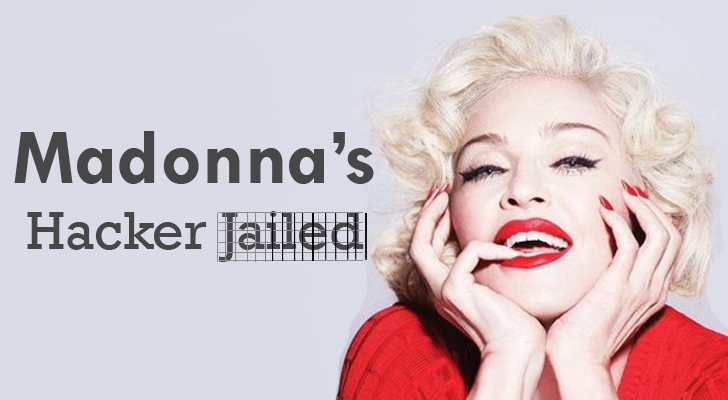 Citing Madonna as Lederman's victim, Tel Aviv Magistrate's Court did not specify whether Lederman was actually behind the song leak from her "Rebel Heart" album, the Jerusalem Post reported this week. "The ease with which crimes such as this can be committed by those who have skills in the field," the court said, "such as the accused, require an appropriate punitive response that has a deterrent and uncompromising message." Madonna planned to launch her new album "Rebel Heart" during Spring 2015 but was forced to rush-release six songs early on iTunes after they were leaked on the Internet in December last year. Lederman was arrested a month later in January after an investigation assisted by the FBI. According to Tel Aviv Magistrates' Court, Lederman hacked into email servers belongs to Kevin Antunes, Madonna’s musical director and Guy Oseary, Madonna's talent manager. Access to the email accounts was used to get into online cloud storage systems, allowing Lederman to pilfer photographs and music tracks copyrighted by Madonna Esther Louise Ciccone. At the time, Madonna said the incident was an "invasion into [her] life - creatively, professionally and personally [which] remains a deeply devastating and hurtful experience." Lederman subsequently sold the music tracks to two different buyers for $300 each, however Madonna appeal her fans to not to listen to the leaked files.